Looking for good storage? Cabinets and bookcases can take up valuable floor space or even make a room appear smaller than it actually is. If you desperately need book storage, or to find a home for ornaments, gifts or bits and bobs, then fitting floating shelves is a great idea, not forgetting that you can find floating shelves for corners, too. A floating shelf no longer has to mean a plank of wood and a couple of brackets. There are plenty of decorative shelves out there that’ll complement and enrich your interior design theme. 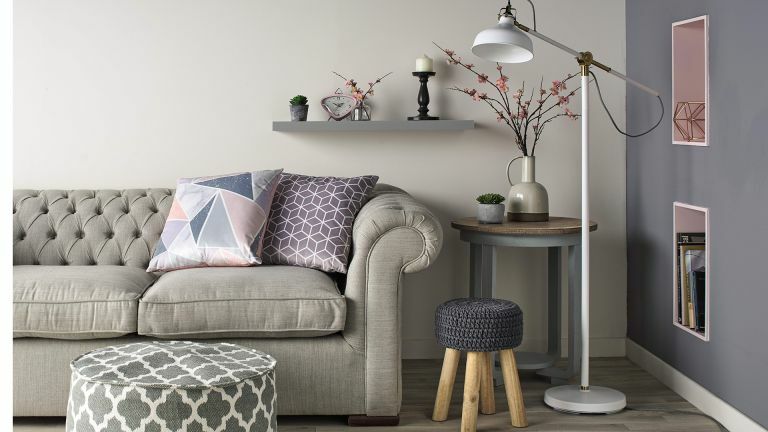 If you’re looking for a floating shelf with character, head over to retailers like Not On The High Street and Made for unique ideas, and you can always rely on John Lewis and Wayfair for some stylish, great value options, too. This list of the best floating shelves features industrial options, such as the Cox & Cox Two Industrial Shelves and practical options, like the Ohio Long Floating Shelf, so whether you’re looking for the perfect kitchen shelf solution or a simple option for your child’s bedroom, you’re sure to find the perfect shelf for your home in this list. With their box style and wide surface area, these shelves make the perfect display feature, whether you’re looking for a home for your crockery or your ornaments. Their black, industrial style construction is contemporary and bold, adding both character and functionality to an otherwise empty wall area. When you think about it, it makes perfect sense to have the brackets facing upwards, rather than downwards. The hanging position of these brackets not only makes them part of the shelf but acts as an end to keep books upright. The combination of white marble and gold make this shelf stylishly simple, while the individually cut marble means no two are the same. Bear in mind the the supports are sold separately. If you’re looking for a floating shelf with heaps of character, this one from Graham & Green is certainly one to consider. From the distressed triangular metal frame to the rustic wooden unit, there’s nothing smooth about the floating shelf. Its brackets double up as book ends to support your favourite titles or alternatively, will make a feature out of your ornaments or even stacks of crockery. Who knew you could be so creative with shelving units? Too often, shelves are bought for their practicality over their potential to create something special. These floating shelves enable you to create your very own feature wall. While their small size means they’re only large enough to support one item, with a variety of colours and sizes to choose from, these floating shelves will enable you to turn your odds and ends into an eye catching display. Not all items that require a home are worthy of being on display. This floating shelving unit from MADE gives you the freedom to pick and choose which items you want to show to the world and which ones you want to keep behind closed doors. The shelving unit is fairly sizeable and with a quirky colour scheme, makes a great feature piece too. With each cupboard door having a magnet catch, you can easily access your hidden items, while the two separate units give you the freedom to play around with the arrangement. Light, clean, simple and elegant this long floating shelf is perfect for Scandi themed interior designs. According to buyers, the shelf comes with all the fittings you need to easily erect it, while the lack of obvious support units makes this a true floating shelf, ideal for minimalist homes. With users also very happy with the size the unit, this floating shelf is both practical and stylish. There’s no doubting the quirkiness of this floating shelf. The playful cloud design brings a whole new angle to the idea of a floating shelf, with the appearance of it taking priority over practicality. It’s not going to offer you the most amount of space, and the bubbly lines are going to limit what you can put on it, but for bedrooms, in particular children’s nurseries, this floating cloud shelf is absolutely perfect. Not all rooms have the space to make a floating shelf a feature piece, but you could always compromise by choosing this corner shelf from Karo. Its design is eye catching and modern, yet it’ll sit neatly in the corner and offer a good amount of space to store DVDs and CDs. Playing with angular and curved lines, this is the perfect floating shelf for contemporary homes. Why not take a look at these 17 brilliant book storage ideas?